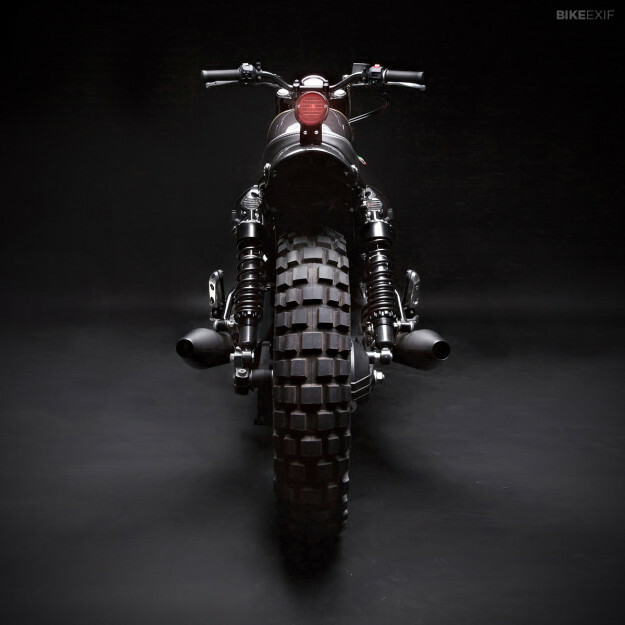 You don’t see many customs based on brand new motorcycles. It’s usually a good few years before the grinder is fired up and the sparks begin to fly. 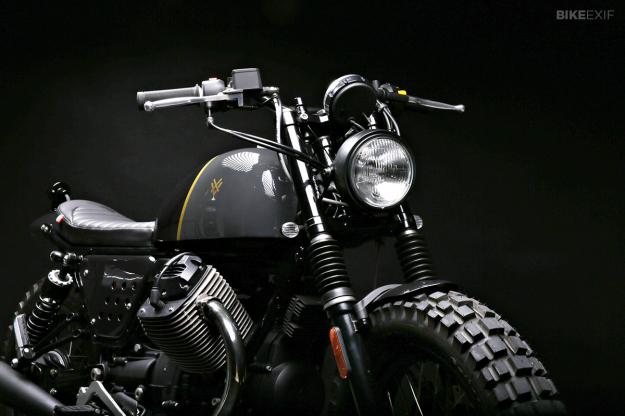 So this machine is something of a rarity: it’s a V7 Stone tweaked by Stefano Venier into a scrambler, and destined to do battle with the potholes and taxi cabs of New York City. “The bike went straight from the store to the shop,” says Venier. 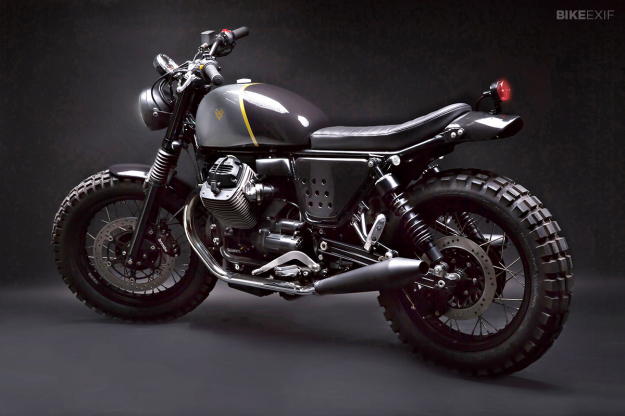 “The idea was to build a Moto Guzzi scrambler, a really fun theme to work on.” The client was inspired by Venier’s NTX-based ‘Tractor 75’—a big hit with our readers a year ago—and he’s now got a bike that could almost be Moto Guzzi’s own interpretation of a scrambler. 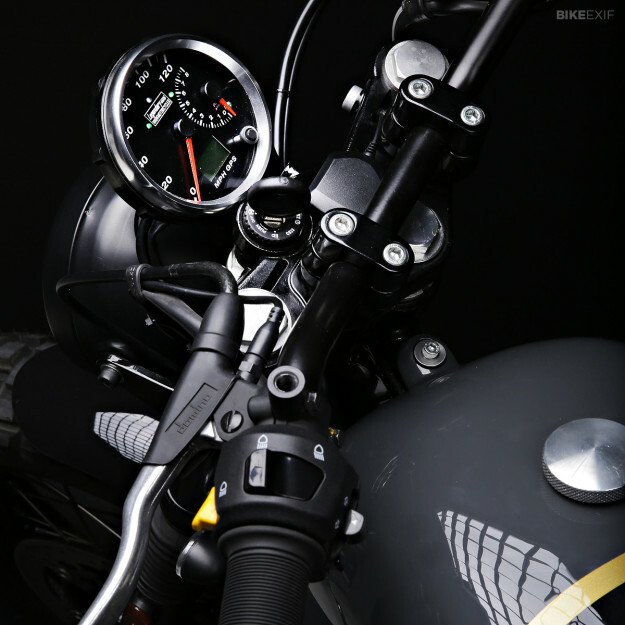 The look is purposeful thanks to Continental dual sport tires and a black LSL headlight. ‘Tractor 02’ is also practical, and configured to be comfortable for two people. The seat is a little longer than usual and Venier has extended the rear frame by 30mm. It’s the complete opposite of the usual shortened rear subframe, but the proportions work exceptionally well—with a kicked-up seat unit echoing the curve of the hand-made aluminum tank. The side panels are fabricated from aluminum too, and the spoked wheels are from Guzzi’s own V7 Racer. Like all Venier’s creations, the V7 is classy and amazingly well finished. 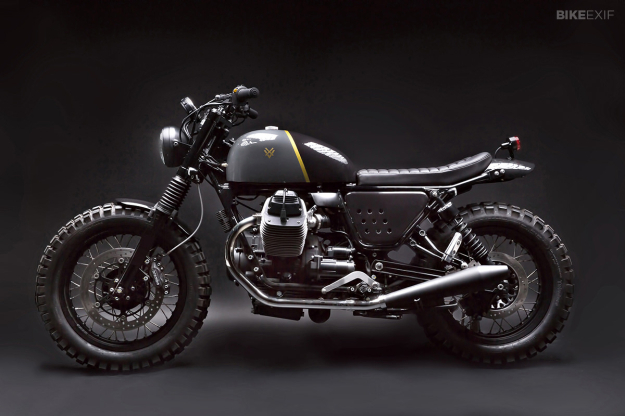 It’s the kind of bike that Moto Guzzi itself could build if it wanted to go head-to-head with the hugely successful Triumph Scrambler. Images by Alex Logaiski. 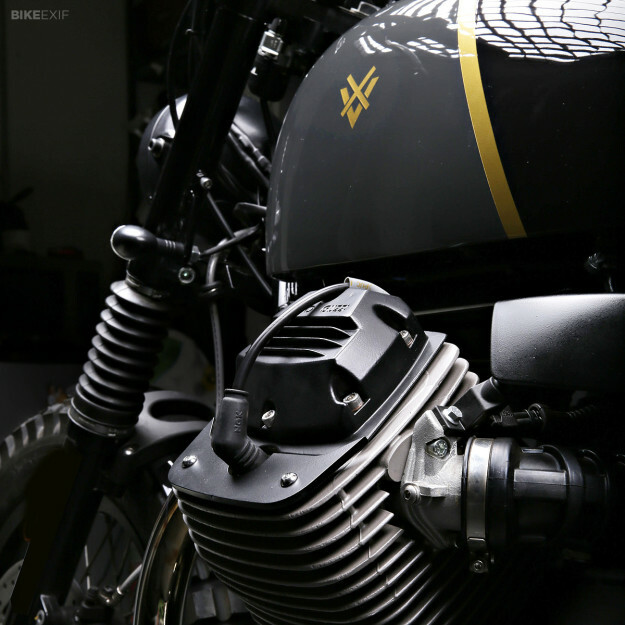 Head over to the Venier Customs website to see more of Stefano’s work, or follow his news via his Facebook page.